EMC Trust Spinnaker Tower Abseil! Home Charity EMC Trust Spinnaker Tower Abseil! The Ellen MacArthur Trust is once again Solent Event’s charity of the year for 2016, we provide free Rib events for young people recovering from cancer every Wednesday throughout the summer. 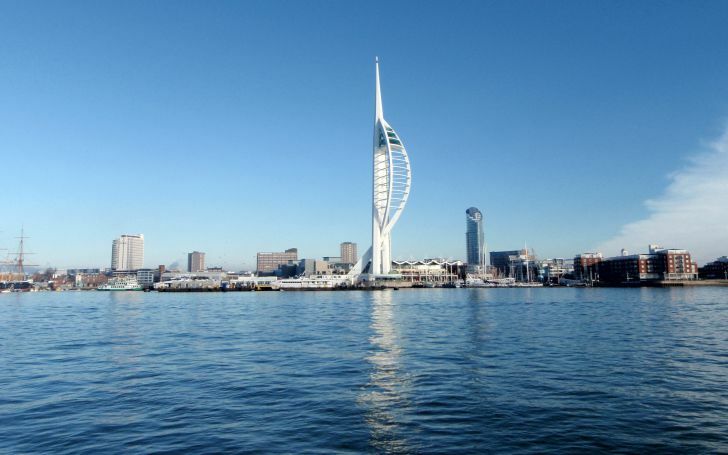 However there are other ways to support the trust, Michelle Ansell from our offices here at Solent Events is taking part in an abseil down Portsmouth’s Spinnaker Tower! Having never done anything like this before, Michelle will be taking on the 100 meter decent down the tower, to help raise money for young people recovering from cancer. Michelle has set up a Just Giving page where you can show your support by donating to help her reach her target. If you’d like to get involved, the event will take place on the 24th September and costs £85 however each participant is also asked to pledge to raise at least £150. To sign up please call 0198 329 7750.